Provide non-medical home care staff knowledge of the general mechanisms of disease, diagnosis and treatment related to the urinary system necessary for accurately applying ICD-10 CM Codes to documentation of patient care. Understanding human diseases is critical when working in health care whether at the bedside or in office roles such as billing or coding. With the change to ICD10 CM coding, knowledge of human diseases is even more important for each team member. This knowledge ensures accurate data collection which can reduce the number of declined reimbursements. 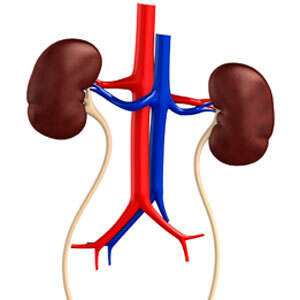 This course provides an overview of diseases and conditions of the urinary system. This is a self-paced course with optional knowledge check quizzes after each lesson. These non-graded quizzes allow you to check your understanding of the lesson objectives before proceeding to the next lesson. This course requires the use of the associated textbook: Essentials of Human Diseases and Condition, 5th Edition, Schell Fazier, Wist Drzymkowski. ISBN: 978-1-4377-2408-0. After the final lesson you will be required to take the final exam. You must score 70% or higher to pass the course and obtain a certificate of completion. This course is designed for individuals with limited to no medical training that are new to medical coding in home care. This course may also be useful to refresh or update knowledge on human diseases for staff currently working in home health billing, coding or office support roles. Chris Bushaw, MEd, RHIT is an instructor for Health Information Technology/Coding Specialist Programs at Rochester Community & Technical College. Previous to this position, she spent over 30 years at the Mayo Clinic in Rochester in various supervisory and management positions including the Health Information Management Department. Chris has a bachelor's degree in Business Management and a Master's degree in Human Resource Development/Adult Education from the University of Minnesota. In December 2008, Chris graduated from the Health Information Technology Program and obtained her RHIT shortly after. This course was developed with Rochester Community and Technical College's Center for Business and Workforce Education located in Rochester Minnesota.